After decades in the limelight, email remains the most powerful channel for eCommerce marketers. And this success continues even as many eCommerce marketing teams rely heavily on batch and blast emails that go to their entire list without any customization. While such efforts clearly bring in revenue, they also leave money — a lot of money — on the table. Recognizing that largely untapped opportunity, top eCommerce marketers have started to take a more strategic approach to email. In addition to traditional batch and blast campaigns, these marketers now tailor messages based on both their customers’ behaviors and changes to their product data in order to send more customized and timely messages. 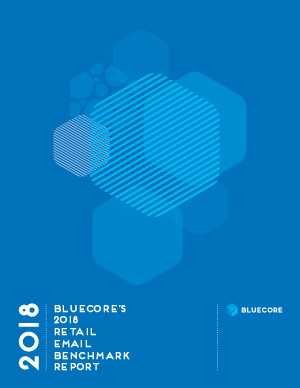 To better understand how retailers are using email, including the extent to which they have embraced individualized messaging opportunities and the effectiveness of those messages, Bluecore turned to the data. Our 2018 Retail Email Benchmark report provides a baseline understanding of these activities and more.